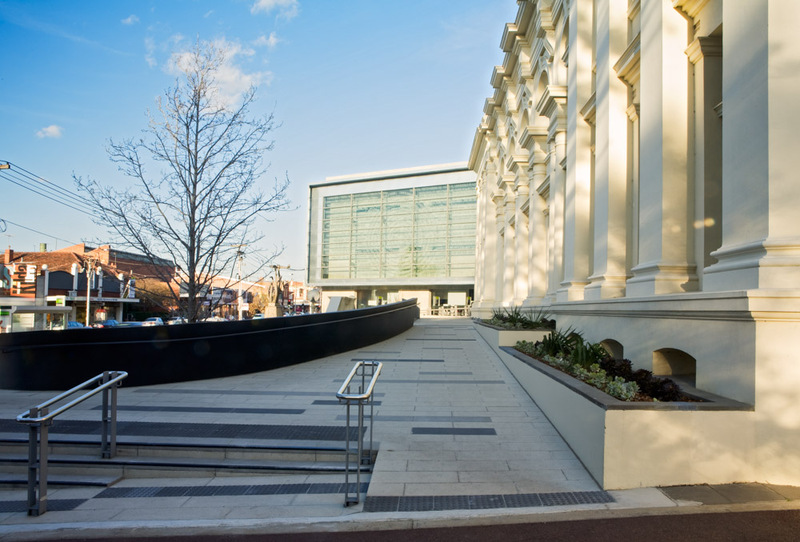 In 2008, with the addition of a new office wing on Carlisle Street, the City of Port Phillip consolidated their administration at the St Kilda Town Hall. 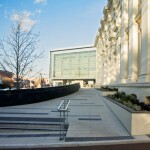 The forecourt to the new building was conceived as a new public space that would serve the council staff on site as well as the general public. 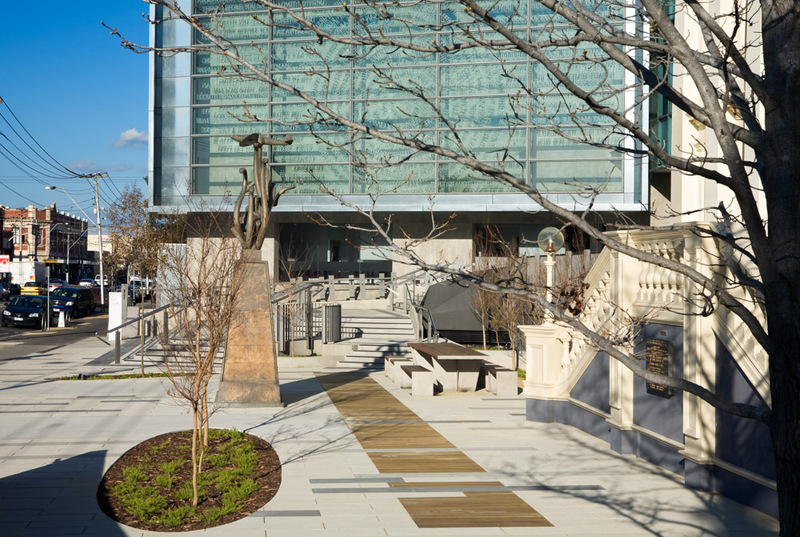 The new forecourt offers a clean, contemporary design built on certain retained elements from the earlier 1992 plaza but one that also responds to the functional requirements and architectural language of both the new office wing and the adjacent Victorian building. 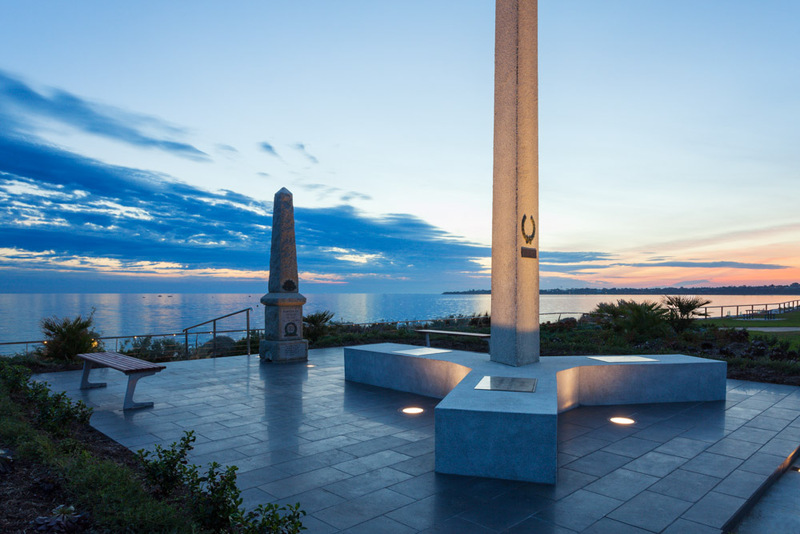 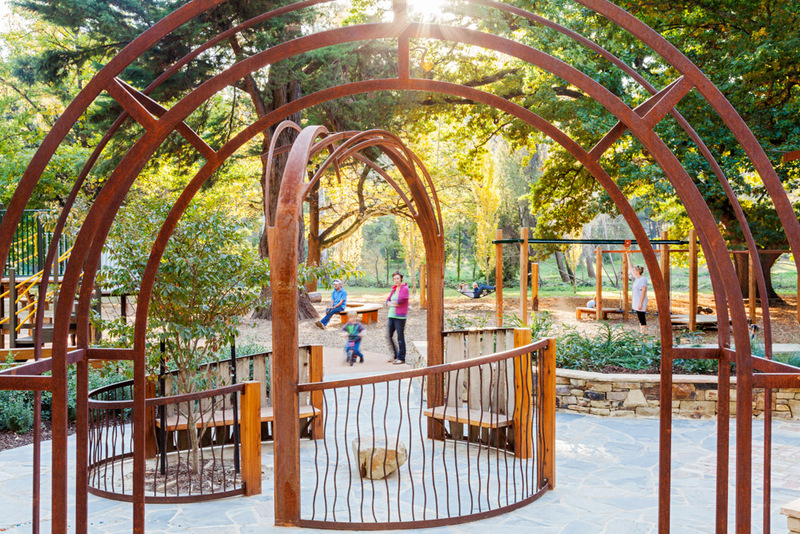 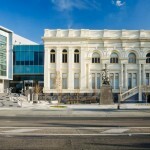 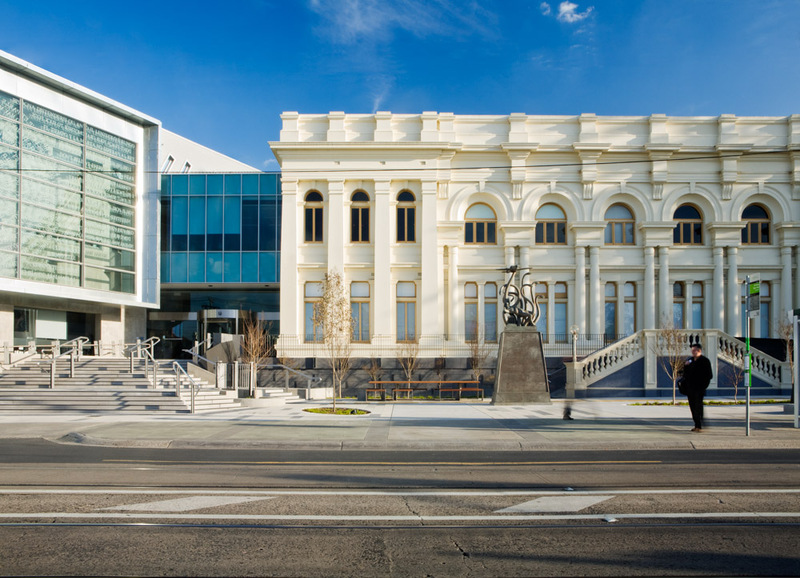 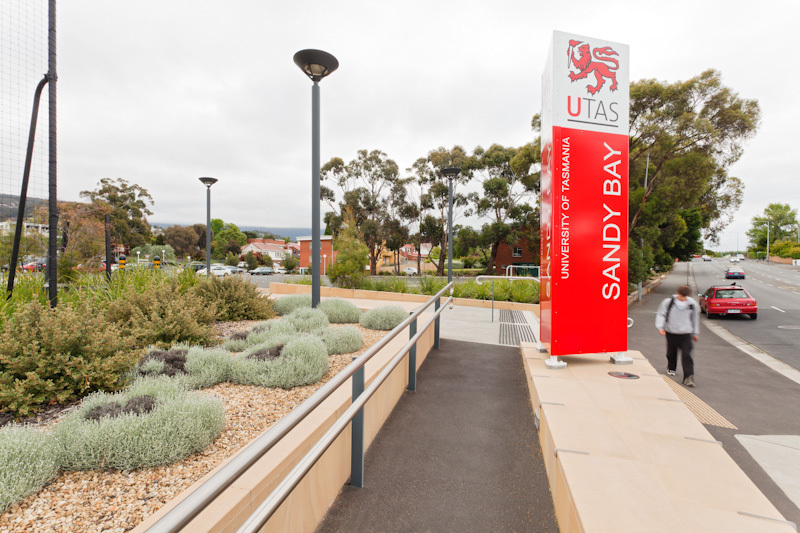 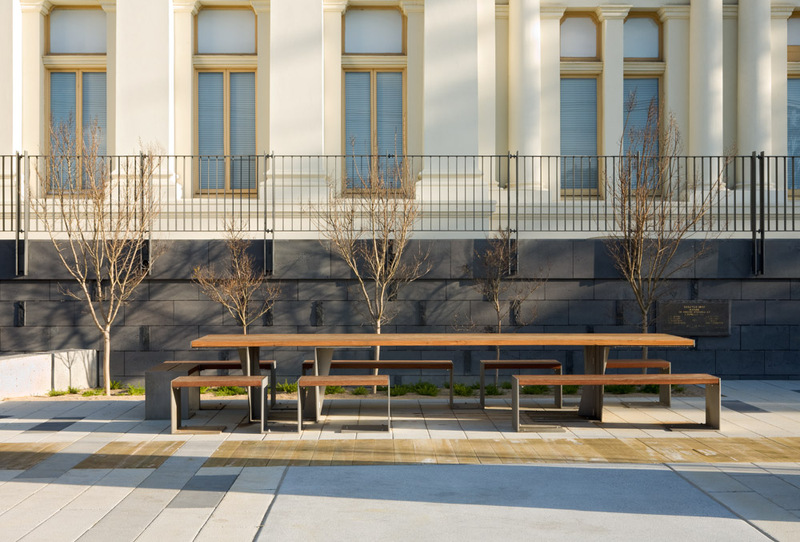 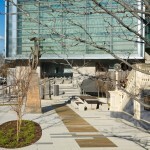 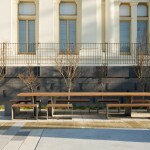 The project entailed working closely with Council’s landscape architect and furniture designer, Andrew Brophy, to document the plaza and public entrance to the extended town hall building. 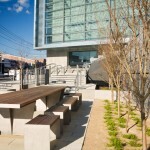 Collaboration with building architects Williams Boag and other project consultants, including furniture maker Andrew Gibbs, was critical to the success of the project. 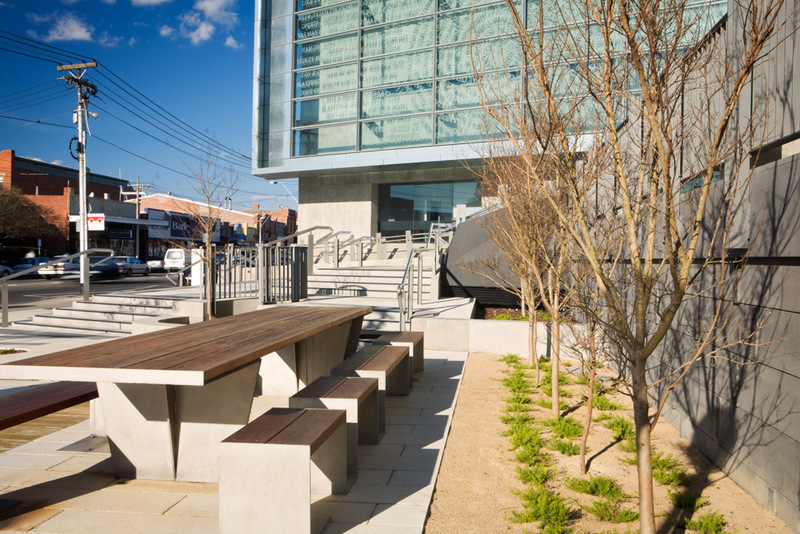 The resulting urban space deals well with the site constraints and despite its modest budget reads as a well detailed, high quality addition to the public realm of Carlisle Street.